The ships’ demolition market is underperforming so far this year, with less tonnage headed for scrapping. 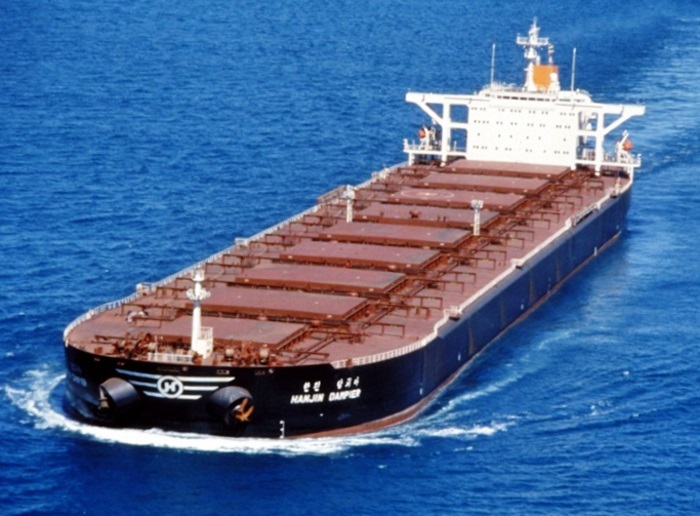 However, the latest fall of the dry bulk market rates has resulted in increased interest from dry bulk owners, which could eventually lead to increased demolition activity. In its latest weekly report, shipbroker Clarkson Platou Hellas said that “we have concluded the week on a fairly cagey position as Chinese New Year caused yet another stutter in relation to the flow of tonnage into the recycling pool which is still to shift up a gear. Bangladesh has remained the main aggressive market in regard to pricing, however this is slowly diminishing as yards start to fill up and its neighboring competitors appear happy to just sit and wait for the rates to fall back to their own way of thinking. It is also becoming increasingly difficult to gauge the price concept for any available tonnage as a broad differential is certainly being seen between one cash buyer to the next, maybe sometimes, emotional purchases compared to commercial ones are the reasoning behind one individual buyer’s particular number placed to the table”, said the shipbroker. According to Clarkson Platou Hellas, “the continuing depreciation of the dry freight rates, especially in the Capesize sector, has resulted in more inquiry from Owners and the expectation that more focus will head toward this industry as Owners will have no other option for their tonnage, although time will tell if we experience the record wave of large dry units that we witnessed back in 2015. A destination to watch, especially those Owners seeking EU approved green recycling or with their vessels finishing in the Mediterranean, is the Turkish market where the Iron Ore prices are rapidly driving up the steel markets and therefore, we are anticipating an improvement from these buyers, possibly back up to the USD 300/ldt numbers seen last year. Finally, and following on from last week, despite reports that the EU have officially rejected the two Indian green recycling yards previously audited, we hasten to add that this is not a complete closure and the yards are now digesting the various modifications required. Initial indications from the yards in question are that the majority of the requirements are feasible but as always, their concern is whether on completion of the modifications, will the EU finally approve those yards vetted or will something else surface delaying the process. We also understand a further two yards will be inspected in March – it is anyone’s guess how the EU react to these additional yard inspections!”, the shipbroker concluded. In a separate note, GMS, the world’s leading cash buyer said that “after an extended period of withering optimism, this week, several sales at curiously high numbers seems to suggest that certain Cash Buyers are confident about a return to form for the market. India and Pakistan have certainly been down in the dumps for a better part of two months, whilst Bangladesh has been gleefully securing a majority of the market tonnage. However, as demand and capacity is starting to swiftly dwindle in Chittagong, the timing for competing markets to step up and take their share of the available tonnage is certainly ripe. Apart from offshore units and green tonnage (secured on the whole for well below USD 400/LDT), the port report in India has been starved of market vessels of late and Pakistan has been all but barren since the fourth quarter crash on the Pakistani Rupee last year. A large number of container vessels have also been sold since the onset of 2019 and particularly for Panamax sized units (of 20,000 LDT and above), the number of end Buyers capable of opening such large value L/Cs (especially in Bangladesh) is starting to run dry. At the far end, Turkey is finally starting to have a mini-resurgence as local steel plate prices continue to firm up and local offerings improved some more this week. It is therefore inevitable that the focus of the industry will start to shift to other recycling destinations (from Bangladesh), albeit at lower levels. Iron ore prices are expected to pick up after the Chinese New Year with Vale cutting iron ore output after the recent dam disaster in Brazil and this should see an overall improvement in international steel prices in the weeks ahead”, GMS concluded.